For a lot of young children, going to school is great. You get to make new friends, learn new things and have fun. However, for some kids, going to school can be scary if you’re shy or not socially confident. Thankfully, one school wanted to change that by introducing a class greeter system. Teachers know that sometimes, kids can be cruel and if you feel outcast or like an outsider, that feeling can be heightened. So they decided to install a policy to help combat bullying and loneliness with a few random acts of kindness. 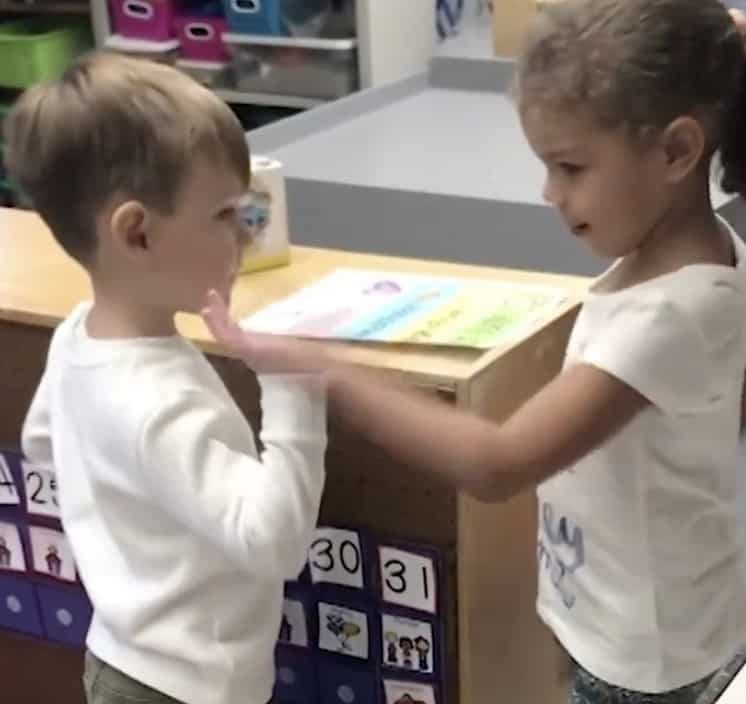 One preschool teacher decided to organise a ‘class greeter’ that would welcome students to the class and say goodbye as they left each day. 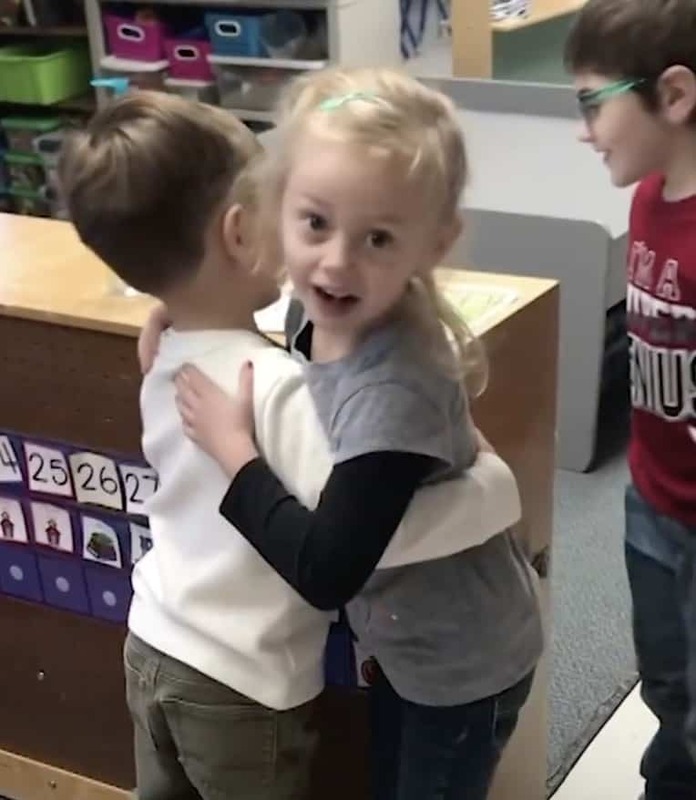 Each day, the class greeter is swapped for another student and its a way of encouraging kindness and social interaction within the classroom. The appointed class greeter stands at one side with a small sign and the other children line up to be greeted. Then when they get to the greeter, they get to choose one of four options; a hug, a high five, a fist bump or a handshake. Honestly, I think it’s utterly adorable and the sweetest part is seeing how many boys chose to hug the male class greeter. Every student participated and the smiles on their face were precious. Even the shyest and awkward looking students seemed to appreciate the hugs and handshakes. This is a system that should be implicated in all school classrooms across the world. It would certainly brighten up most people’s days.